But please understand that the appearance is bad. This potato is "Dejima" and "ニシユタカ" in Nagasaki prefecture where is full scale production region of potatoes. 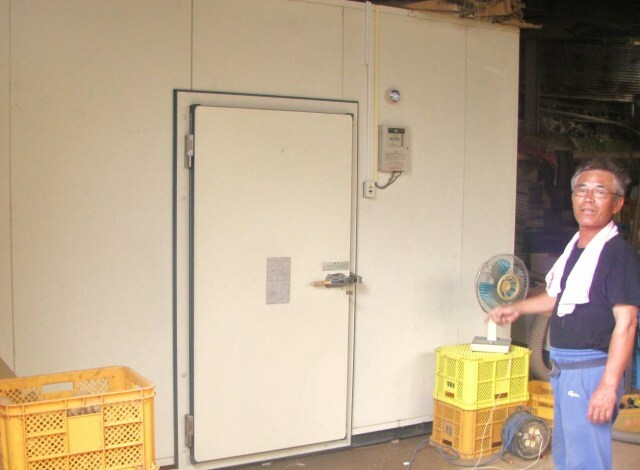 The No.1 area of potato's production is Hokkaido, and the second area is Nagasaki prefecture. The one is the northest area and another is the westest area in Japan. And the one's area is the widest in Japan, the other's is the one of the smallest prefectures. The production of potatoes in two areas where a condition was far apart so much is the first ranked place and the second place in Japan. When I investigated with thinking that "there should be some common point", I found it. That's the length of coastline. The first rank in Japan is Nagasaki prefecture and the second is Hokkaido. The potatos seem to have the property to be easy to grow deliciously in the island getting the sea breeze. These potatoes were grown by special farming (never using any pesticides and used special manures). 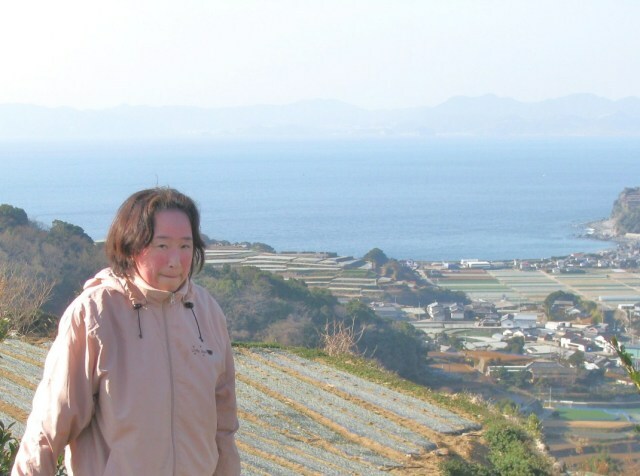 Mayumi says that "I can say with confidence that I can help healthy dietary life." 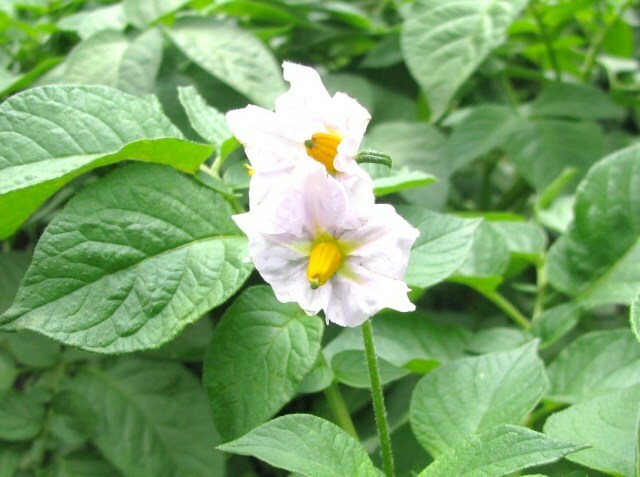 We will deliver such healthy potatoes "with soil" so as to save longer even if only slightly. You can save from two months to theree months if you save them in the cool and dark space with putting in corrugated cardboard or a paperback. 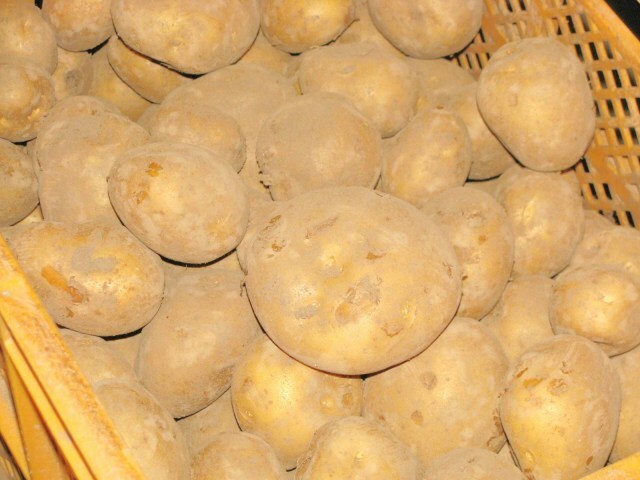 The term you can save the washed potatoes is from a week to two weeks in a refrigerator. Finally, I will tell you a secret. 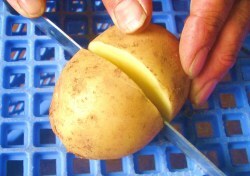 When the potato keeps commonly for two or three months, its bud comes out. The bud is poisonous. So, when a bud appeared, it is eaten if you remove it. 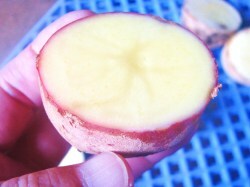 The secret is a method of the stock which does not let the buds come out of the potatoes. That is ......to keep them with an apple. I'm sorry. It's common sense for the person who knows this. These are the potatoes "Dejima"and "Nishiyutaka" which has a lot of originalities. Especially, "the art" which I recommend with confidence to the person who is annoying atopic dermatitis. Please try to enjoy.